Worbla’s Finest Art is the first and original thermoplastic of the Worbla Art line. Introduced to in 2014, Worbla’s Finest Art has been seen everywhere from editorial photo spreads, to builds by Grant Imahara and Adam Savage of Mythbusters, to the floor of San Diego Comic Con, and on stage with Madonna’s Rebel Heart Tour and numerous Cirque du Soleil shows. 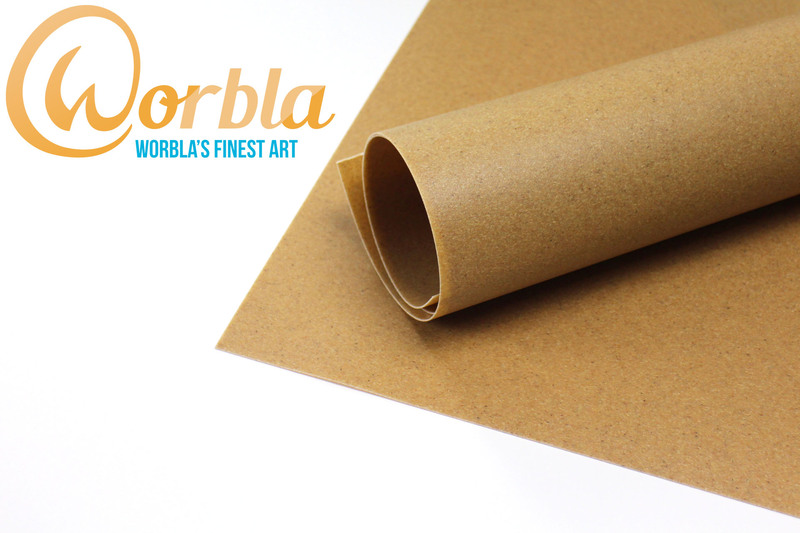 Worbla’s Finest Art is a sheet plastic, brown in color with an orange peel like texture. It’s non toxic and can be shaped by hand without requiring special safety gear. Finest Art can take complex curves without requiring a vacuform or subtractive editing and is self adhesive when activated. Worbla’s Finest Art activates at 90°C or 195°F. We generally suggest heating with a heat gun, but you can also use hot water, an iron, or steam. Finest Art has a working period of minutes, depending on the thickness of the working piece and ambient room temperature. Once cool, pieces are rigid and strong. Worbla’s Finest Art can be heated endlessly and has no shelf life. There is no waste with Finest Art because your scraps can be heated, conditioned, and 100% re-blended. These leftovers can be molded to act just like putty, and many artists use Worbla’s Finest Art instead of clay to create near-indestructible pieces. (Check out these sculptures!) Finest Art scraps can also be heated and flattened into new sheets as seen here. If you have never seen Worbla handled or tried it yourself, customers often compare it to clay, fruit leather or beeswax when heated: becoming pliable and taking detail well, becoming hard and stable when cool. Worbla’s Finest Art can be built up in layers, shaped over forms of foam, foil, wire or similar armatures, and can be used as a single layer. Worbla’s Finest Art can be painted with just about any paint, wax or finish. The natural texture of Worbla’s Finest Art means many of our customers choose to prime it before painting with a variety of methods, and you can take a look and choose which might work best for you here. We have thousands of images of projects made with Worbla’s Finest Art, and dozens of tutorials and videos shared with us by the amazing artists who use our product. Check out our highlights below, and check out our Galleries and Tutorials for more! 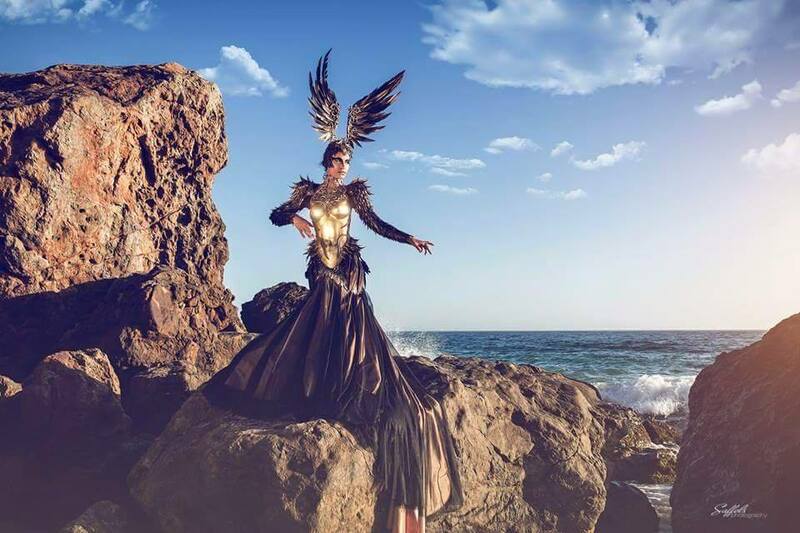 Fairytas by Jolien-Rosanne has been incorporating Worbla into her designs with breathtaking results, such as this Pheonix Dress, Modeled by CreatureHabit with Photography by Saffels Photography. 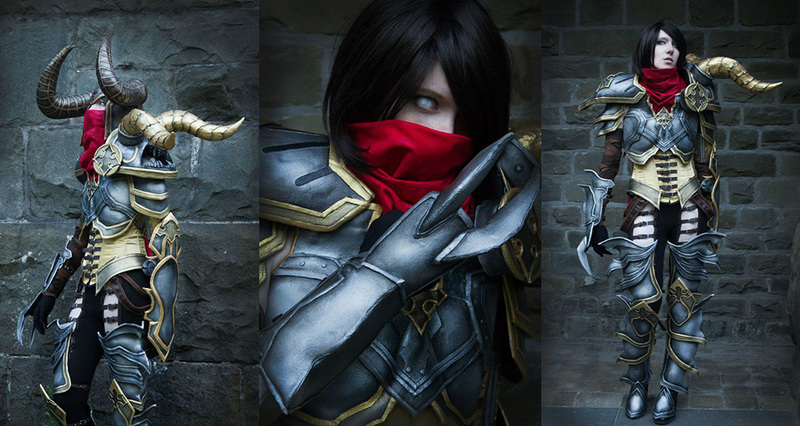 This D3 Demon Hunter costume by Lightning Cosplay used Worbla’s Finest Art to create this amazingly detailed suit of armor. 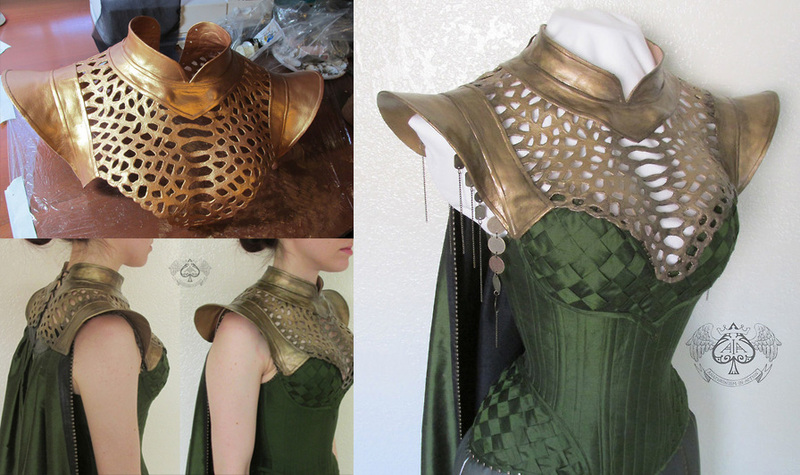 A detailed collar for this Lady Loki costume by Anachronism in Action. The base is Worbla, primed with gesso, and painted with metallic acrylic paint, rub’n’buff and clear satin finish spray paint. 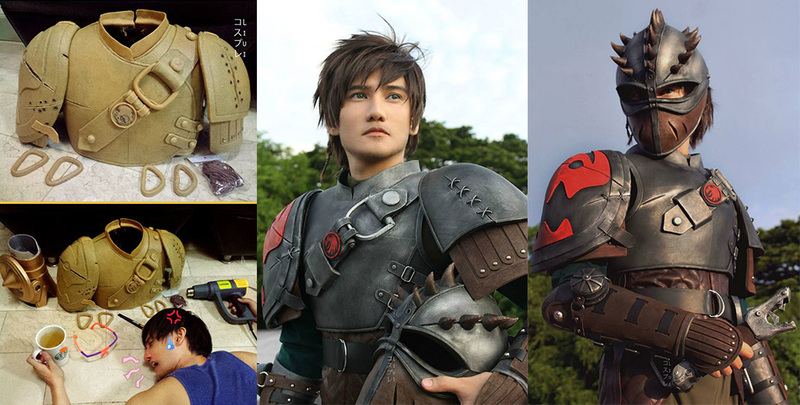 Liui Aquino used Worbla and foam to create his amazingly realistic Hiccup from How to Train Your Dragon 2. These prop weapons were made by one of the first adapters of Worbla’s Finest Art, Kamui. For more information, take a look at our tutorials page and gallery page for inspiration and resources. To purchase Worbla, visit our where to buy page.